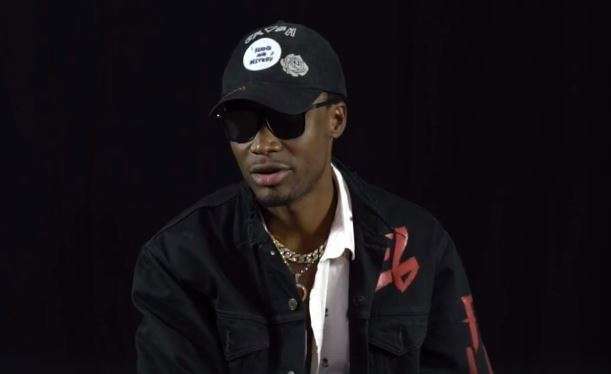 Award-winning Ghanaian rapper, Elorm Adablah, best known as E.L, has expressed his feelings about Sarkodie excluding him from a list he presented to South African star, Cassper Nyovest. According to the sensational rapper, he felt ‘bad’ when Sarkodie omitted his name from a list of musicians to Cassper. He interacted with some of the artistes here both through social media platforms and some, he met in person. One of the artistes he interacted with on social media, Twitter, to be precise was rapper Sarkodie, who was out of the country at the time of his visit. However, in the course of their interaction, Sarkodie presented a tall list of some artistes Cassper must contact in his absence. 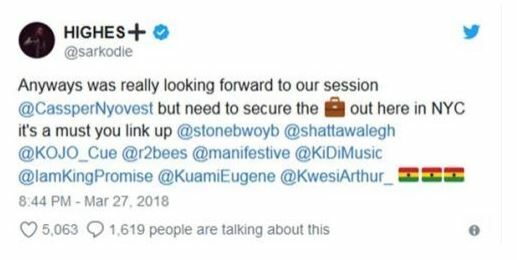 Some of the artistes he listed included; Stonebwoy, Shatta Wale, R2Bees and even Sarkodie’s proclaimed arch-rival M.anifest. However, unfortunately left out of the list was the 2016 Artiste of the Year, E.L’s name and this seems to have ‘hurt’ him in a way. E.L, who is currently promoting his single ‘Overdose’ reacted to Sarkodie’s tweet. He told Joy News’ MzGee that he felt ‘bad’ that Sarkodie did not mention his name in the list. “Well, it made me feel kind of bad but that’s him, that’s his list so he can list whoever he wants to list,” he said. With this, many began to claim that there was bad blood between the ‘Koko’ singer and the SarkCess Music Boss. But E.L denied these claims saying that he is just not in playing terms with these artistes anymore. “No, there’s no bad blood. I am just not messing with any of these artistes anymore. I have come to realize that it is every man for himself. The past doesn’t really count for anything in this industry”.